One effective way of sticking with your fitness goals is finding someone who can motivate you and keep you on track. I always have a better workout when a friend is cheering me on and encouraging me to push myself. Make a pact with a friend to hit the gym every week, learn a new sport, or compete for a certain step goal if you have a Fitbit or a step-counting app on your phone. Summer is the perfect time to support local farmers and gardeners. Check out a farmers’ market near you and stock up on fresh fruits and veggies. The prices are often comparable or even cheaper to grocery store produce and you have the satisfaction of supporting local businesses. Ask them for their favorite recipes/preparations while you’re at it! Get creative in the kitchen by trying out some dishes that incorporate lots of fresh produce. Going to the gym can be convenient, but the same old workout routine becomes boring fast. Walking, hiking, or biking outside during the summer can provide a good al fresco workout. Try making a list of hikes or paths you’d like to walk this summer. Spending time in nature is refreshing and definitely provides better views than the gym. You could also head to a beach or public pool or try out something more adventurous, like kayaking or rock-climbing. Adding variety to your workout routine will ensure that you don’t fall into a slump. There’s nothing more disappointing then stepping onto the scale and seeing a number you don’t like. If your only goal is to lose weight or improve your physique, you might be disappointed if you don’t see immediate results. 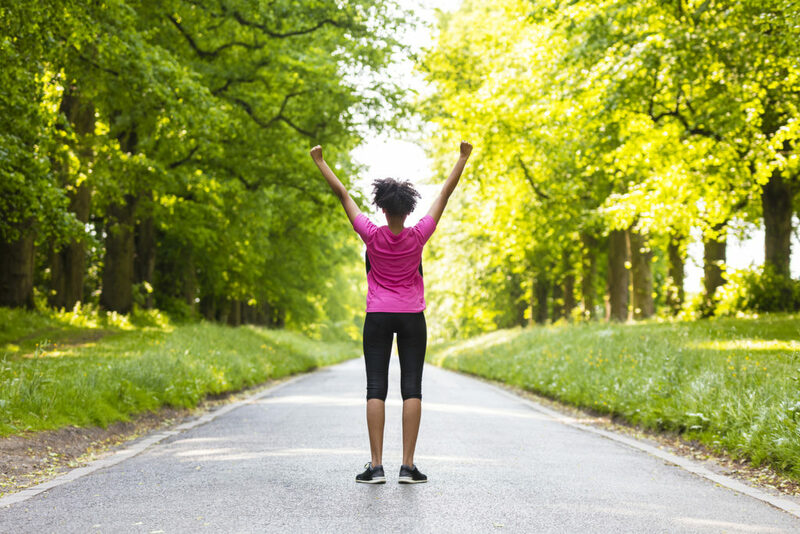 This summer, make a list of realistic fitness goals that encompass your body, mind, and soul. For example, you could train for a 5K, learn yoga, or spend more time in thoughtful meditation. By focusing on various goals, you are less likely to feel discouraged. I’ve been told to “stay positive” so many times that I easily forget how essential it is to pursuing a goal. We are often critical of ourselves when we fail to live up to our expectations or measure up to someone else. If I’m feeling self-critical, I’ll try to jot down what is upsetting me or making me feel insecure. Then, for each inhibition or issue I’m experiencing, I’ll write down one thing I value about myself. While it’s perfectly okay to have insecurities, focusing on the positive will help to keep you on track, especially on a day you’re feeling discouraged. Maintaining a healthy lifestyle is a continuous journey, so don’t forget to have fun while working toward your goals. If you focus on having a healthy, active, and relaxing summer, the rest should fall into place! 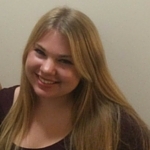 Elizabeth is a recent graduate from Fordham University where she studied communications and anthropology. In her spare time she’s usually getting lost on the NYC subway, drawing, or finding a place to eat cheap brunch.